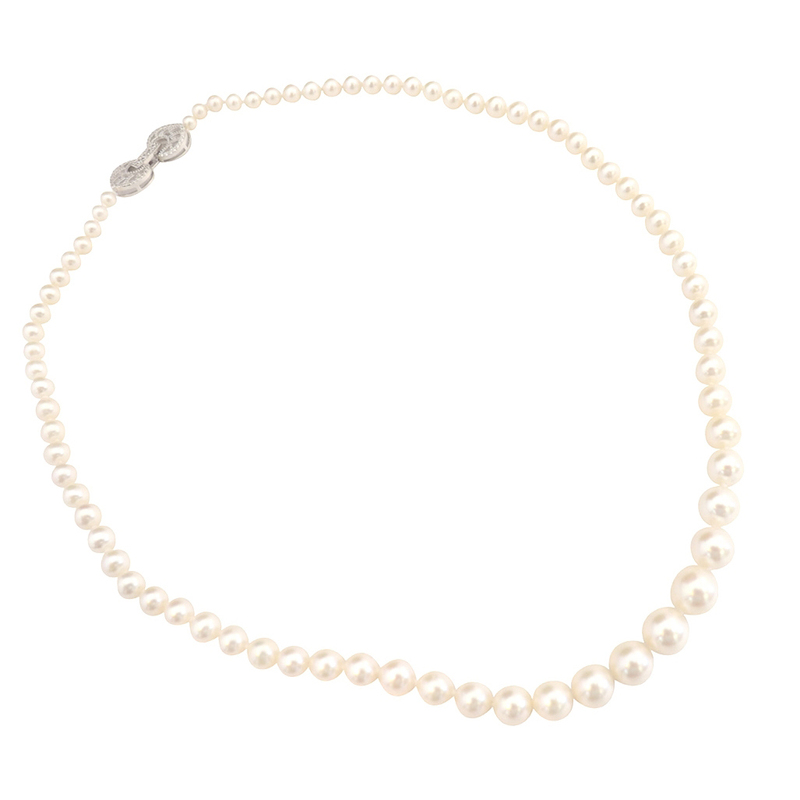 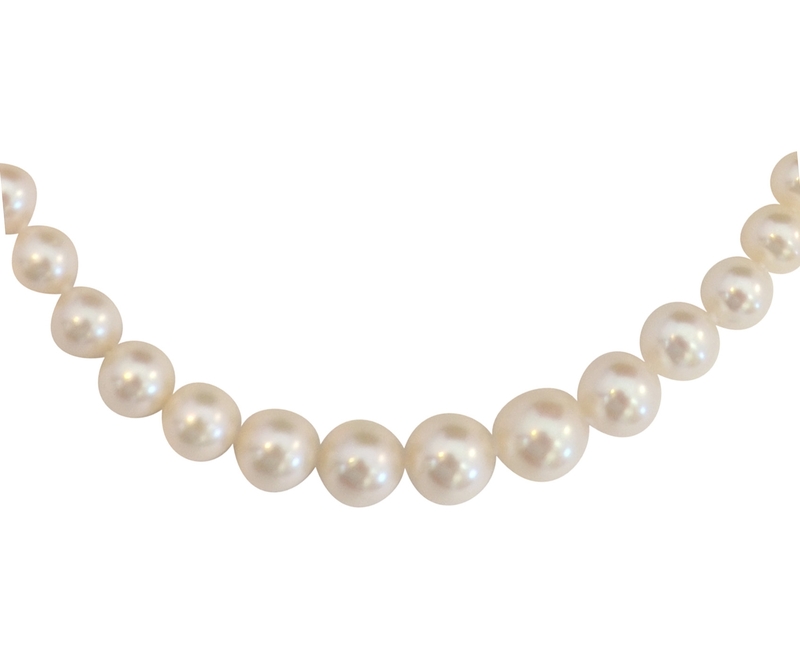 This 18″ long graduated cultured pearl necklace is made of round pearls, not potato pearls which make it not only gorgeous, but also much more valuable than others. The pearls are AAA- high quality, from 4mm graduated to 9mm, with very high luster and hardly any flaws, all double hand knotted between each pearl, and finished by a pure 925 sterling silver Safety clasp with 18k white gold over lay to be tarnishing free. 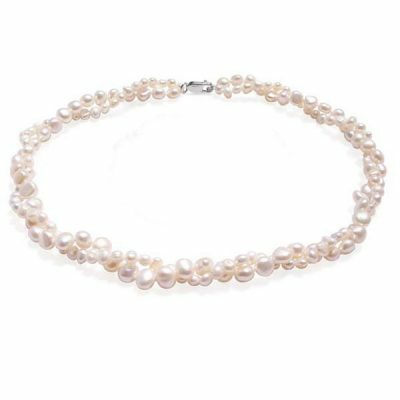 That makes the necklace can be worn in both sides as a pendant necklace or a classical round pearl necklace for its simple elegance. 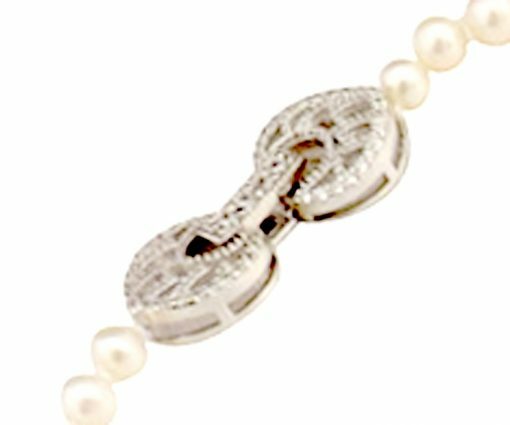 The necklace comes in a gift box. 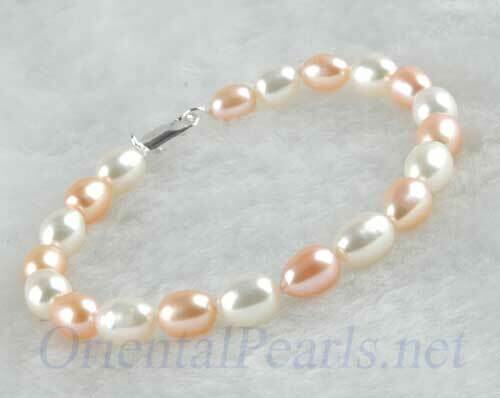 Only white colored pearls are available in stock for immediate delivery. 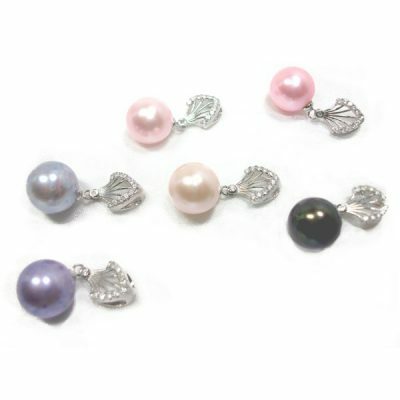 However, you may special order pink or lavender colored pearls.